A photographer in western Newfoundland captured what he calls a "once in a lifetime" encounter with an unusual patterned moose this week. Gerard Gale, who runs his own photography business, was in Black Duck Siding near Stephenville on Monday when he spotted a large mostly-white moose having a snack on some bushes. With his high-resolution camera, he recorded a video of the majestic looking animal from as close as three-feet away. So what is a piebald moose? 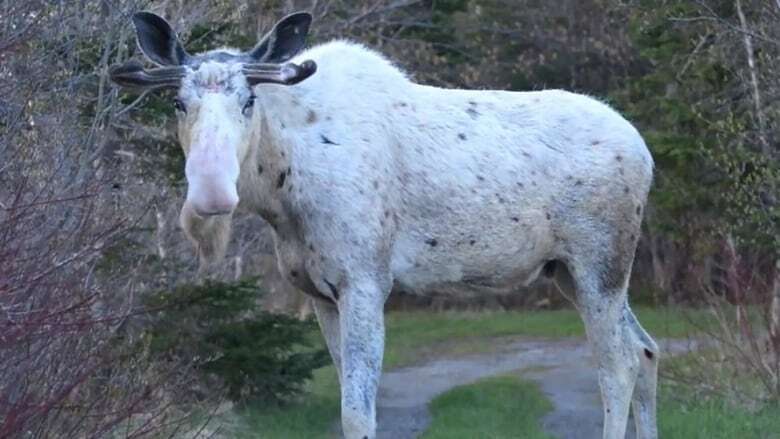 Gale's experience isn't the first time a mostly-white moose has been seen in that part of Newfoundland. Back in the summer of 2015, one was seen several times around the Stephenville and Port au Port region. At the time, many people referred to the animal as an albino moose. However, the province's wildlife division has said it's actually referred to as a piebald moose. Piebald, or pied, animals are those with a pattern of pigmented spots on a white background of hair, feathers or scales. 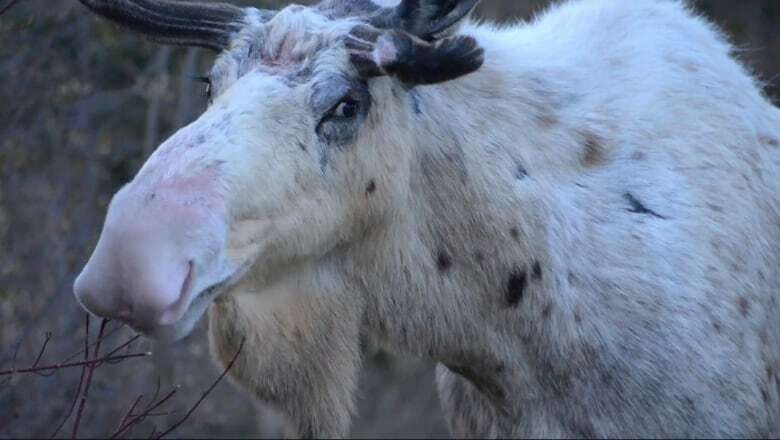 Whereas albino characteristics are extremely rare and not usually passed directly down to offspring, there seems to be a genetic influence in some moose in the Port au Port area that is creating the piebald pattern. In fact, special legislation applies to the region – known as Moose Management Area 43 – which says hunters are not allowed to kill moose that are predominantly white in colour. Albino deer? Llama? What the heck is this thing?